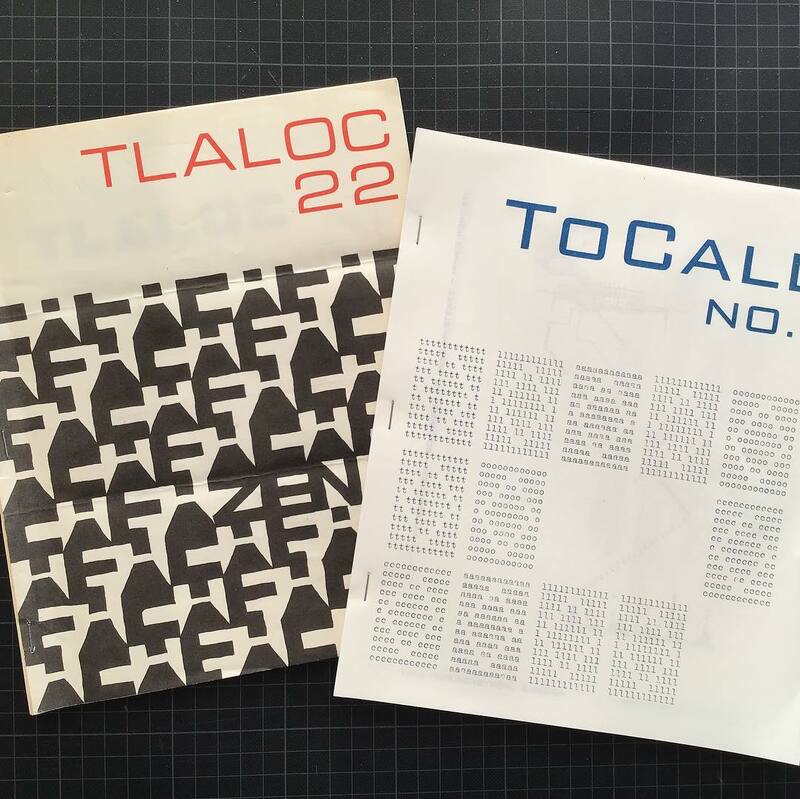 Published by Petra Schulze-Wollgast, 'ToCall magazine' is inspired by the last issue of Tlaloc, published in 1970 and edited by Cavan McCarthy. For this first issue, she invited some of her artist friends with whom she collaborates, publishes and swaps works and ideas. 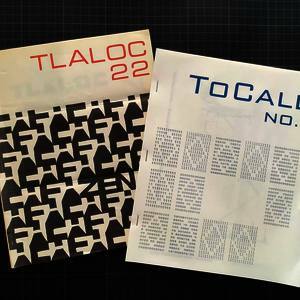 The typewritten cover work is based on a poem by Bob Cobbing, and appeared in Tlaloc issue no.9.